I could not believe that the ATLAK was coming through Tucson, AZ. I called the folks and asked if they wanted an afternoon/evening of fun to check out the new Triumph Tigers? Of course, they were game. It was a unique location, being at the Pima Air and Space Museum. This to me was a perfect fit, having been on a Triumph for over a year-long journey – it made since to me to be around planes! Because in my mind it was about giving your dreams wings and taking flight for your journies! 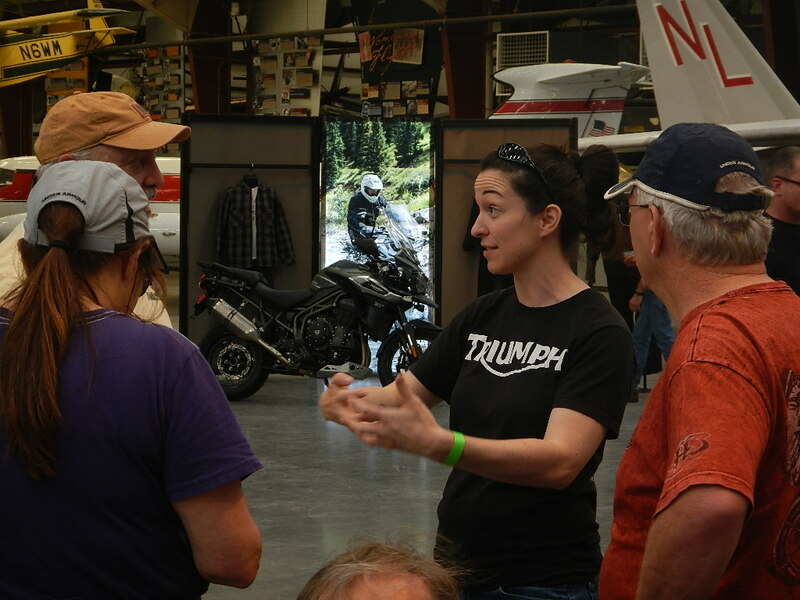 I even had a chance to chat with folks and do a meet and greet with Triumph. I hope to be a few of the future events as well so keep an eye out! I was not sure what to expect but as we pulled it, it was clear by the variety of bikes, that this would be a “rider experience” type of even! It was welcoming to all and riders came solo, with their partners, or with full riding groups. It was pretty awesome. We got swag, fed well, and even a show from local Navajo world champion Hoop Dancers. It was lovely. We also had campfire talks with Brian of Overland Journal magazine and talks of many of his adventures! It was a great event and felt like family with the intimate set up and venue! Check them out on future stops as they travel from Atlanta to Alaska (ATLAK). Thanks for being a very interesting person of doing what life brings your way, keep living the life to make you happy and keeping our interest in living with you on your journey. God bles you.